British police arrested 39 people on Monday, December 31, in London on suspicion of attempted murder following a stabbing in the city. According to authorities, the mass arrest was was necessary as suspects didn't cooperate with police following the stabbing. 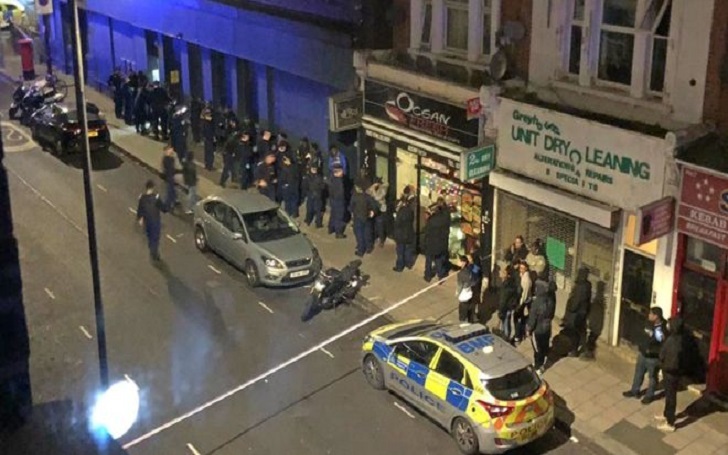 London police said they were ordered to be present at an address in the Hammersmith neighborhood of west London before 1 a.m. on Monday and found a man, who was in his mid-30s, suffering from stab wounds. The police said, "the victim had been chased by a number of male and female suspects following an altercation in a shop." The suspects then reportedly entered a nearby residence. Police said a party was taking place at the scene at the time. Officers were sent to the residence and when they didn't get answers when asked the suspects about the stabbing. Two knives were reportedly found close to the scene. According to superintendent Mark Lawrence, the arrest of 39 was "appropriate" because of the need to obtain "essential evidence." The suspects neither have been identified nor been charged. The victim is reportedly in critical but stable condition.